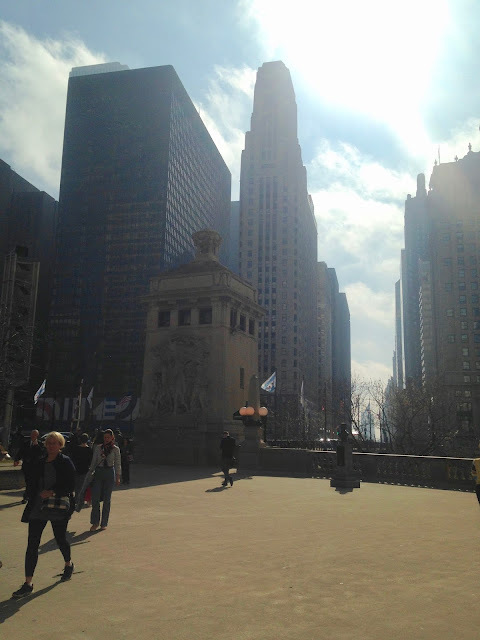 Amy's Creative Pursuits: Chicago, Illinois: The Magnificent Mile. This is a continuation of a series of travel posts of a week I spent in Illinois to visit my children. To start at the beginning go HERE. The rest of the posts are HERE, HERE, and HERE. I grew up in Milwaukee Wisconsin which is only about a two hour drive from Chicago so I've had the fortune of being able to visit Chicago many times in my life. 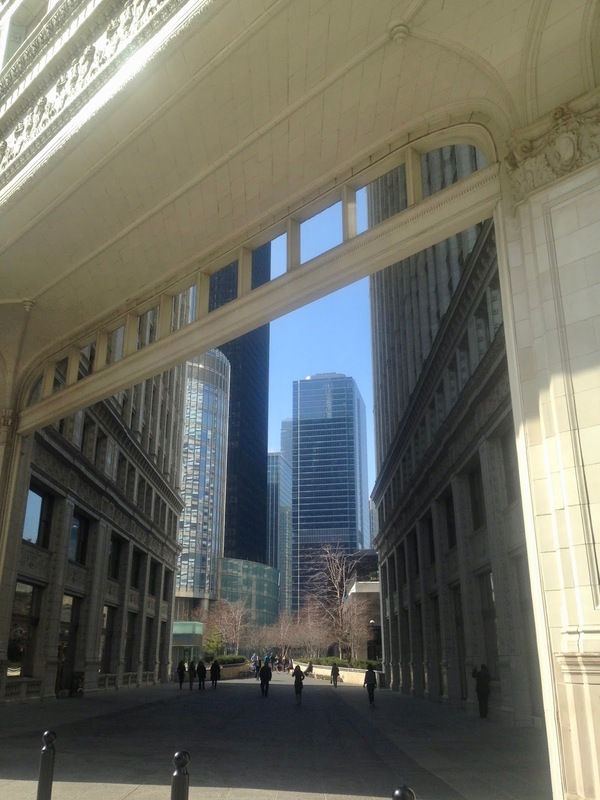 I've seen most of the tourist attractions Chicago has to offer: The Art Institute of Chicago ( a must see if you love Monet! ), Willis Tower, The Field Museum of National History, Millennium Park, The Magnificent Mile, The Lincoln Park Zoo, The Museum of Science and Industry and The Lincoln Park Conservatory. 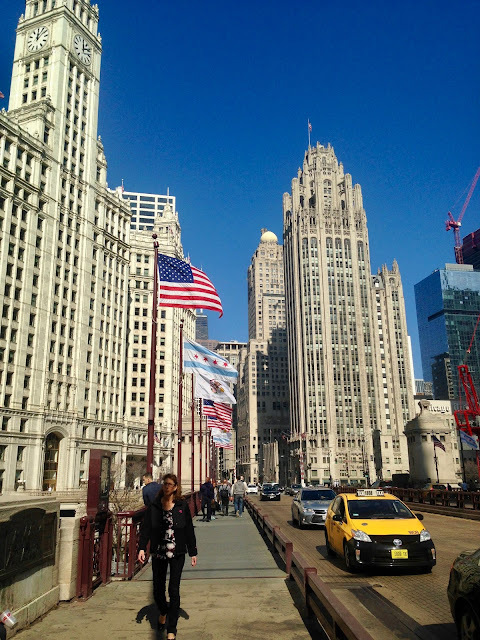 All of my trips to Chicago have been day trips, but Chicago has so much to see and do you need at least a week to see everything...and you probably won't see everything in a week. One day I would love to rent a hotel room right on the Magnificent Mile and stay an entire week so I can see everything still on my bucket list. What's on my Chicago Bucket List? A boat tour on the Chicago River, the John Hancock Building, the Shedd Aquarium, the Alder Planetarium and I wouldn't mind getting back to some of the museums since I haven't been there since I was a teenager. Most days when we go to Chicago I'm either there to see a performance of my daughter's, a Broadway tour, or I end up shopping on The Magnificent Mile! I'm sure everyone who lives in America has heard of The Magnificent Mile. I don't know who named it, but they sure picked the right name, for it is magnificent! It is a shoppers dream for it is filled with 460 retailers both high end designer stores and budget friendly, plus loads of restaurants and sight seeing attractions. 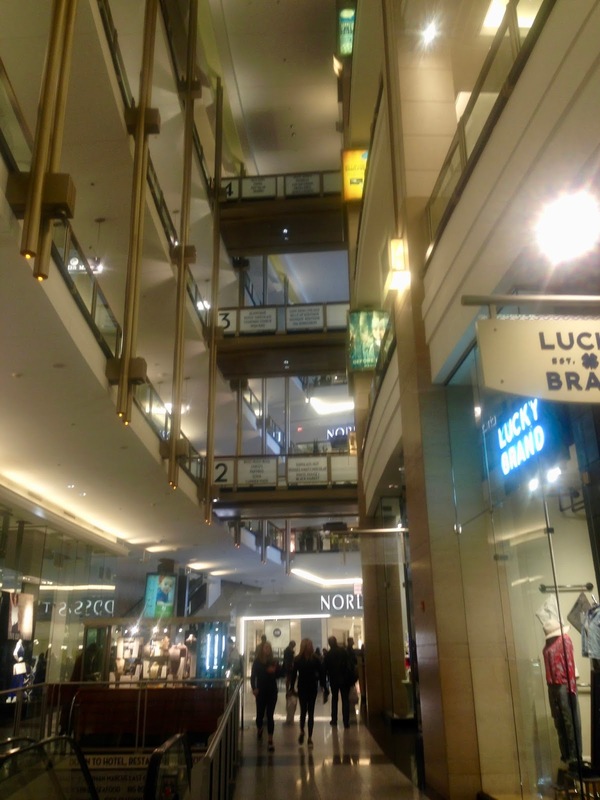 The stores can be inside a mall as pictured below, or they can just be accessed from the street. In addition to retail stores, The Magnificent Mile contains many of Chicago's famous historic buildings so it is an architectural feast for the eyes. 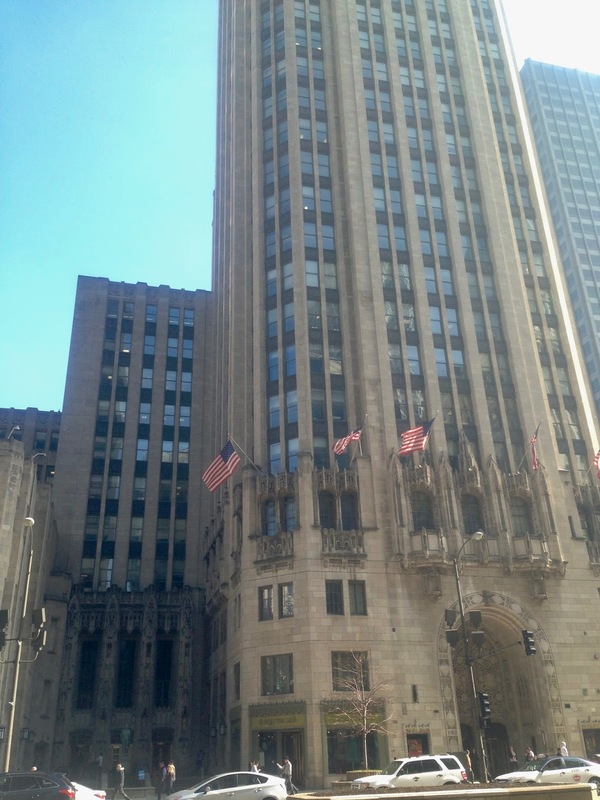 Pictured below is the Tribune Tower. Chicago is a dream location for photographers. There are so many interesting angles and perspectives. Of course I didn't have my DSLR with me as I didn't want to lug it around all day, but I did what I could with my IPhone. Believe it or not but the weather was in the seventies on this February day. It was such a rare occasion to enjoy Chicago during the winter months on such a warm day. The only drawback was the sun was so bright it was difficult to take pictures. The view of the skyscrapers surrounding the river is one you see often on travel blogs or on Instagram. It is so breath-taking. The Trump Tower was especially gorgeous and probably my favorite modern building. It was especially striking the time of day I was there because of the way the sun was hitting the building. 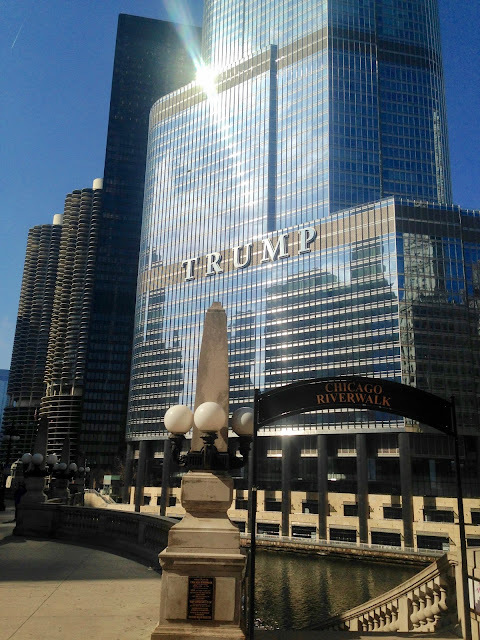 Beneath the Trump Tower is the Chicago River Walk...another thing I've never done and have to add to my bucket list. 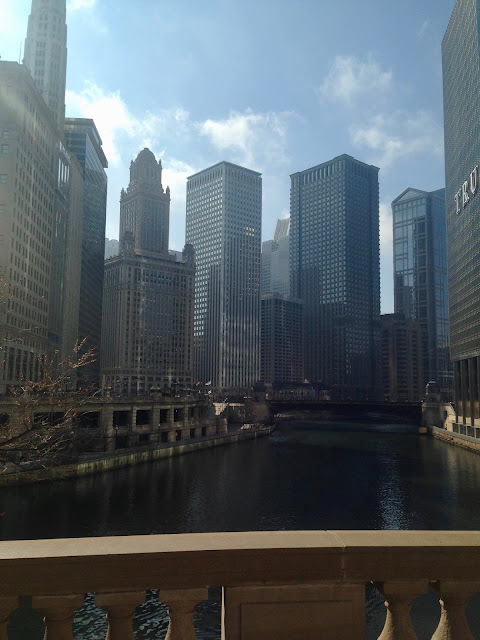 It is an open pedestrian waterfront walk located on the south bank of the Chicago River. It spans from Lake Shore Drive to Franklin Street. 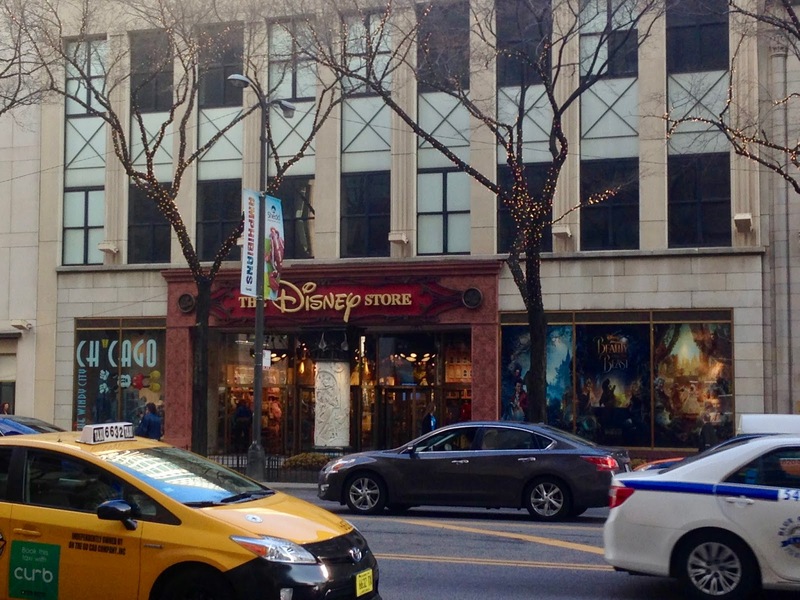 As I stated earlier, there are both stores accessible through a mall and also street level stores like The Disney Store. 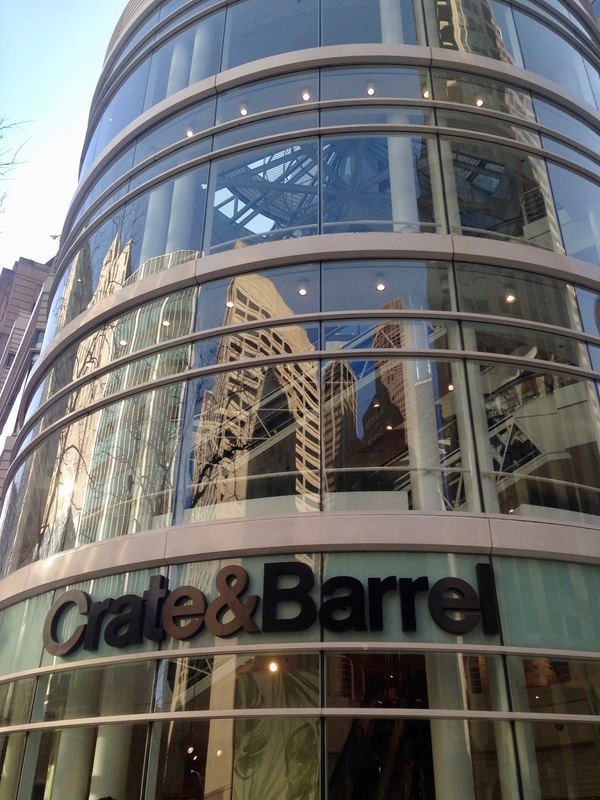 One of my favorite stores to visit was this Crate and Barrel. Oh my goodness! What an aesthetic feast for the eyes. It has three levels (maybe more, I can't remember) of gorgeous interior decor. 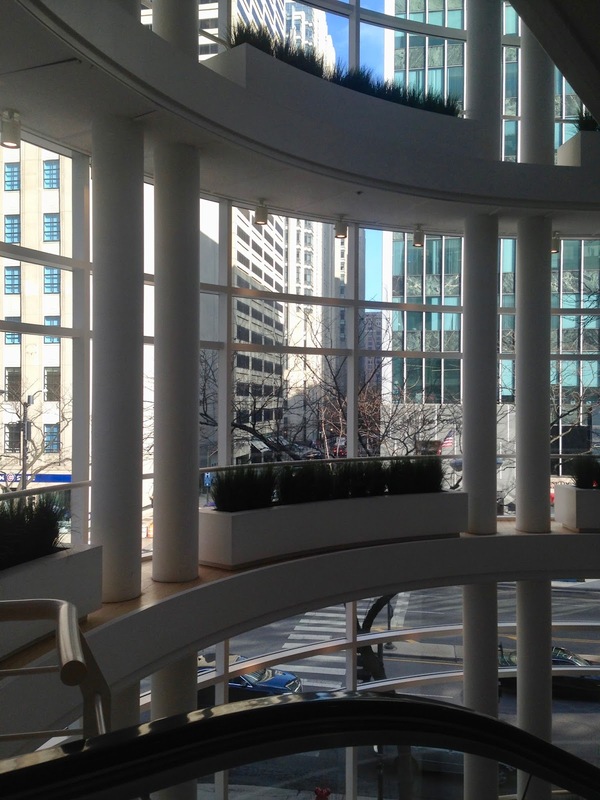 Open escalators take you to the various levels and the floor to ceiling windows are in a rounded shape. It's just gorgeous! This striking Gothic-style building is one of Chicago's most famous buildings. 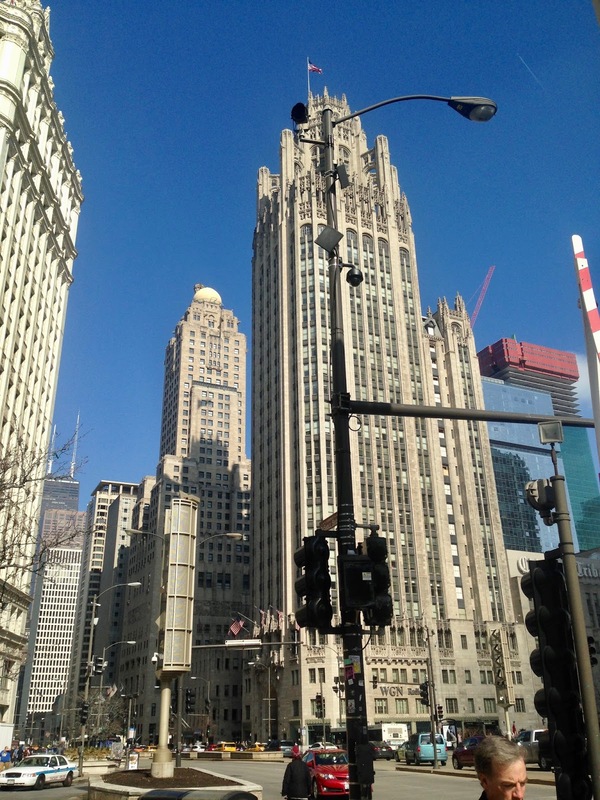 It is the Tribune Tower. Another view of the Tribune Tower with the Michigan Avenue Bridge in the foreground and also The Wrigley Building on the left. As a lover of flowers, gardens, and design one of my favorite things about The Magnificent Miles is the beautiful seasonal garden displays they have on their streets. We were there in February so we saw their winter displays, but I've also seen their gorgeous spring bulb displays and their amazing fall gardens as well. Here's a old picture taken of me back in 2013....ugh, if only I could be that skinny again! 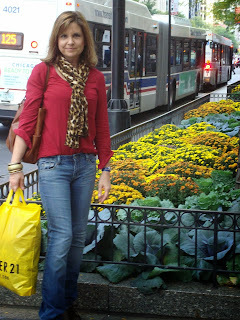 Anyway, I was in Chicago in the fall when this picture was taken and this is what the street gardens looked like then. Aren't they gorgeous? Just look at that Ornamental Cabbage! 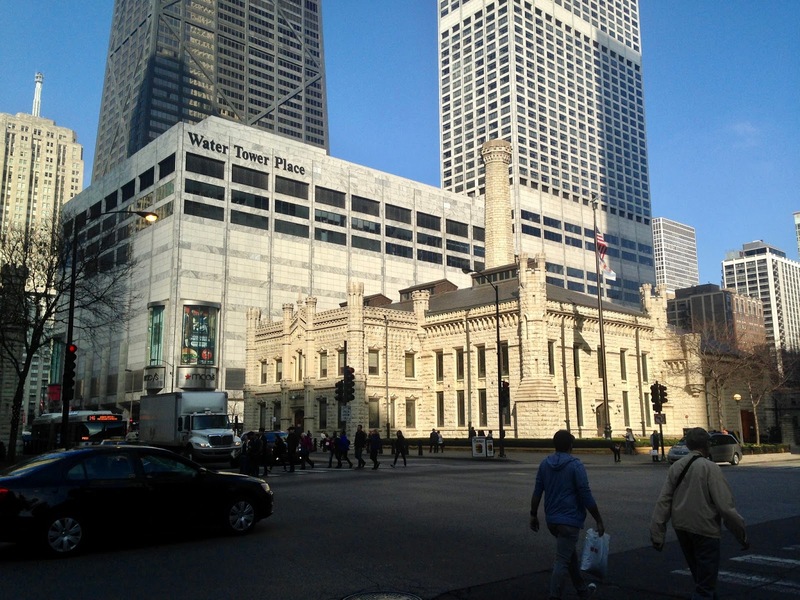 The Water Tower is perhaps Chicago's most famous old building. The day we were there it was open so we could go inside. Nothing to see though. You're not allowed in the tower; it was just an empty square that went in a complete circle. It is the second oldest water tower in the United States. Like the Tribune Tower it has a Gothic Revival style. 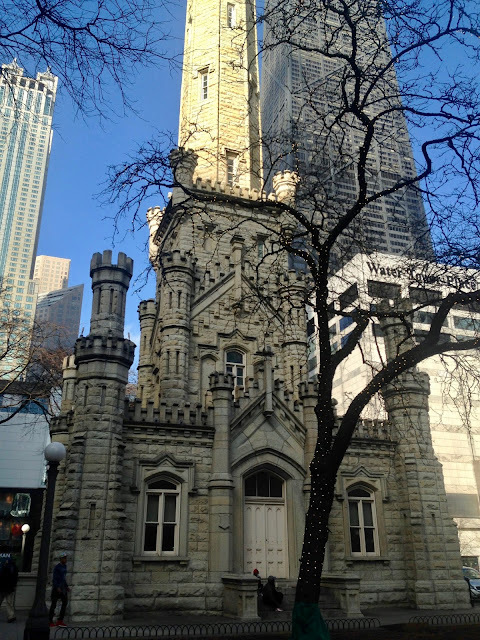 It is one of the few iconic buildings left standing after the famous Chicago 1871 fire and became a symbol for the city to rise amongst the ashes. The water tower was built to draw clean water from Lake Michigan to help supply water to a growing Chicago population. And right next to the Water Tower is another shopping mall called Water Tower Place which has 758,000 square feet of shopping space. Yes, if you come to Chicago bring your credit cards...the shopping is like nothing you've ever seen before! 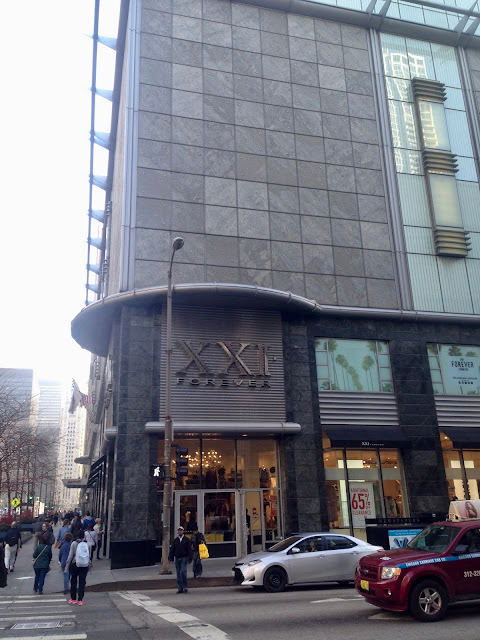 Hands down our favorite store to visit whenever we go to the Magnificent Mile is this Forever 21 (Notice how I'm holding a Forever 21 bag in the 2013 picture?). It is huge; plan on spending a long time inside if you plan to go. On the day we were there they had a 65% off already reduced merchandise clearance sale. My daughter got an entire bag full of maternity clothes for only $16.00. They weren't actual maternity clothes, but loose fitting tops she could wear at least till her final trimester. I wasn't quite so lucky, although I did find several cute neckerchiefs for about 90 cents each. Because the Cubs won the World Series last year, Cub pride was everywhere we looked. After we were done shopping, we headed over to Navy Pier since I had never seen it before. I will share pictures of Navy Pier next week. But by the time we were done at Navy Pier it was already growing dark and I snapped these pretty shots of Chicago lights. 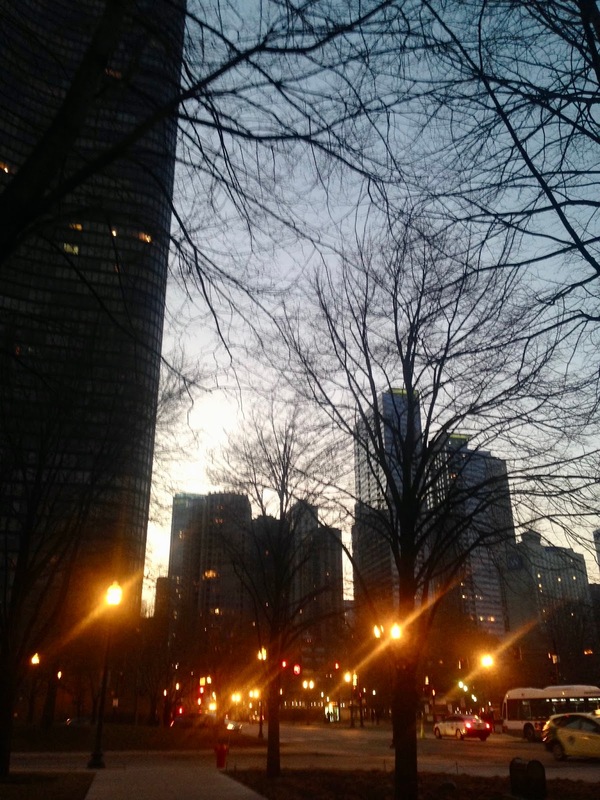 Chicago is even more beautiful at night than it is during the day. I love the city lights. 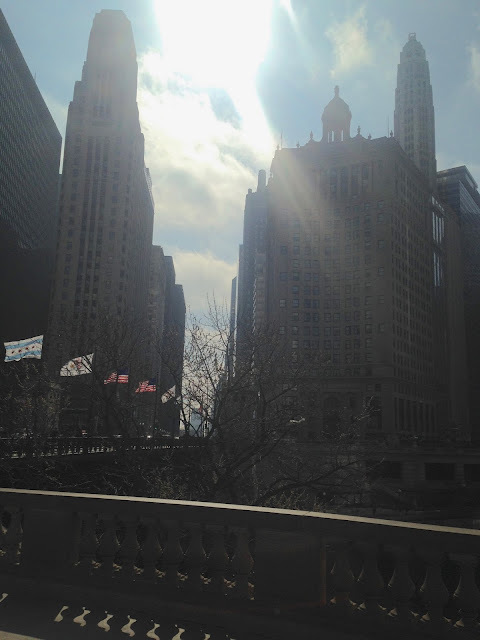 I have only been to Chicago once, but I absolutely loved it! It's such a great town and there was so much to do. This is a great guide. Amy, It would be interesting to shop here. We only passed through the south tip of Chicago in 2001 and that was at night, so we didn't see much. Maybe one day, we will be fortunate enough to visit the Windy City again and will have time to take in some of the sights and flavors. I'd love to get a real Chicago style pizza! :p Thanks for dropping by for a look at the letter “D” (dogs) in my A2Z series, Art Sketching through the Alphabet! Have a good day, my friend! Oh I hope you get to spend more time there, it's such a wonderful city. 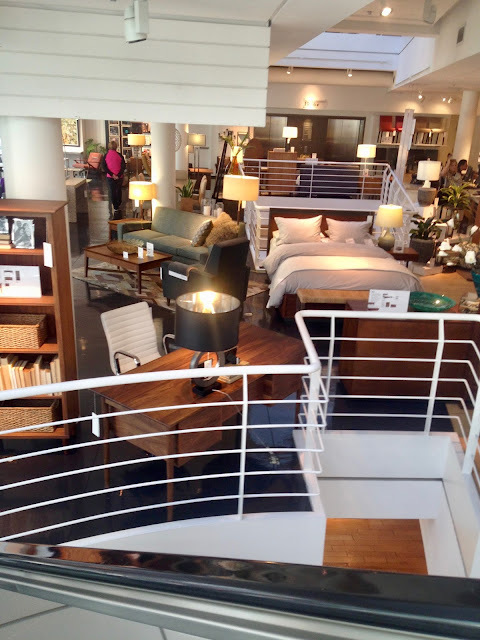 While shopping is not high on my list of things to do, the architecture in your images would be worth a trip to Chicago. maybe someday. Oh yes, definitely. 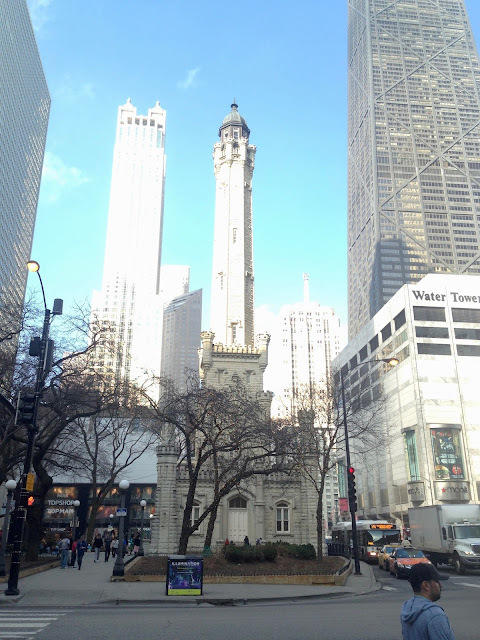 There is so much more to do and see on the Magnificent Mile if shopping is not your thing. These are great pictures! 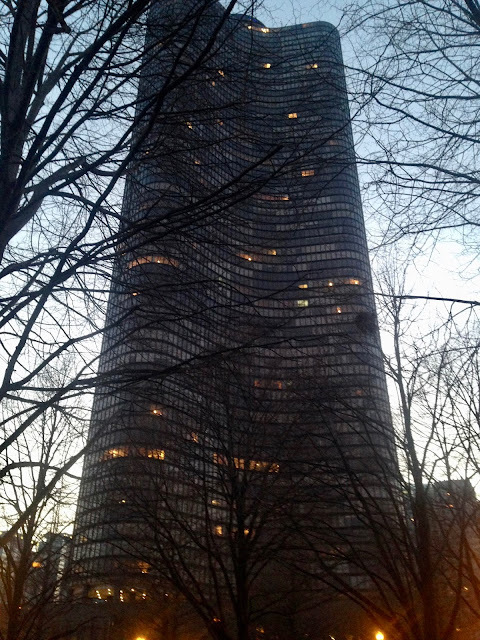 I love Chicago's architecture! 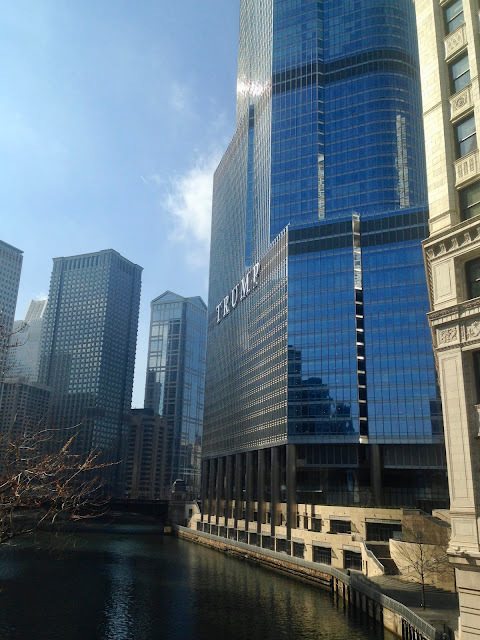 A few years ago we stayed at the Hotel Monaco in Chicago, great river view and I think we also had a little view of Trump Tower. (We paid a little extra for the river view, but since we only stayed one night it was not so bad). We've done the Lake Michigan boat tour but would really love taking a river boat tour. We also still haven't seen the Museum of Science and Industry and that's been on my bucket list for a while now. Definitely need several days to see everything! Thanks Elli! I tried with my IPhone. I saw the Lake Michigan boat tour when I was visiting Navy Pier. I'd like to do that too! You definitely need to go to the Museum of Science and Industry if you have kids! My mom and I went to Chicago when I was pregnant and did some maternity shopping (there is nothing where I live), and it was a dream! We had so much fun, and it is a trip I will always remember. Looks like a blast. Love your pics. Oh I'm so happy you got to go there with your mom. 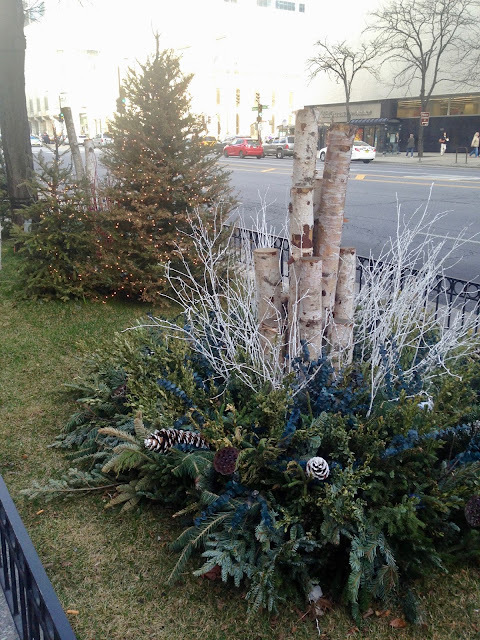 The Magnificent Mile is the perfect place for mothers and daughter bonding time! 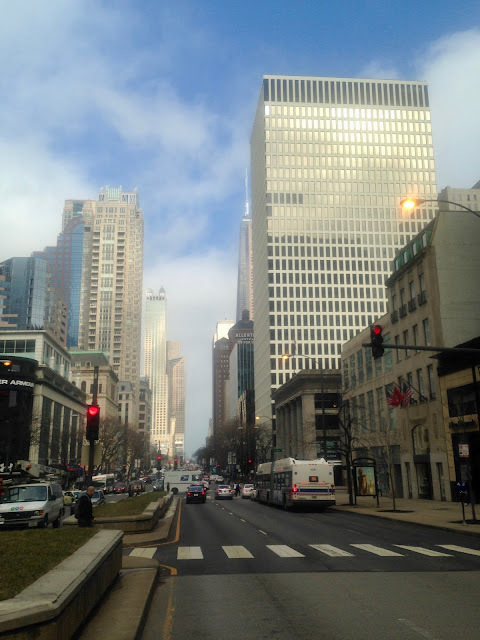 I love the Magnificent Mile! I can't believe the amazing weather you had for your visit in February! Next time I'm in Chicago, I'd love to do one of those architecture boat tours. Yes, I certainly lucked out with the weather! My daughter and her husband did one of the architecture boat tours and loved it.